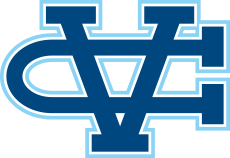 Belmont, CA - The Valley Christian Warriors traveled to Crystal Springs to compete in the WCAL Championship Wednesday. 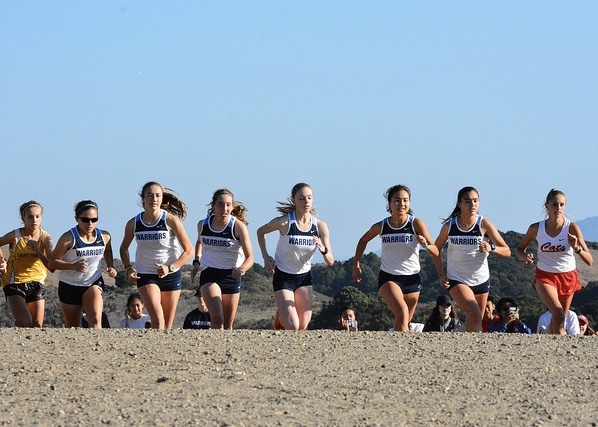 Both boys and girls teams fell short of advancing to the CCS Championship. Girls missed the automatic team qualifier by 58 seconds, the boys by 82. 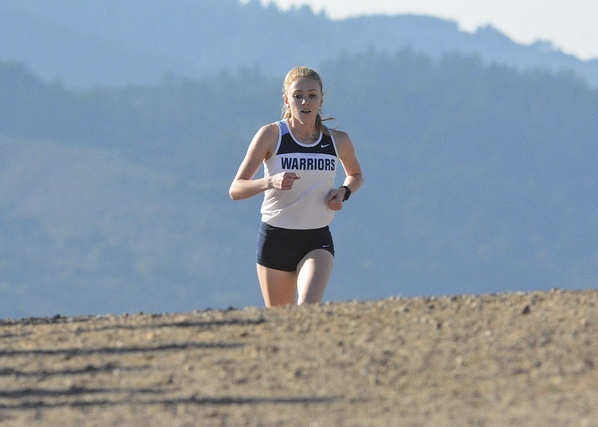 Five athletes advance to the CCS Championship as individuals. Christine Albrecht is one of those advancing to the CCS Championship. Starting with a fast pace, opting the first mile of 5:52 the early pace took it’s toll as she fell to 10th by the end of the race. Notably off her normal pace she gutted out a tough last mile to finish in tenth. Her time of 20:02 is #18 all-time in team history. Katelyn Stone also advances to CCS as she continues to round into form. Stone was the top finisher for the Lady Warriors completing the hilly 2.95 mile course in 20:01 in a personal best time that is #17 all-time for the Warriors. Alexis McMahon has been a top varsity contributor all season and was once again solid as the team’s #3 runner. Her time of 20:50 was a one minute improvement over her time hear last season. 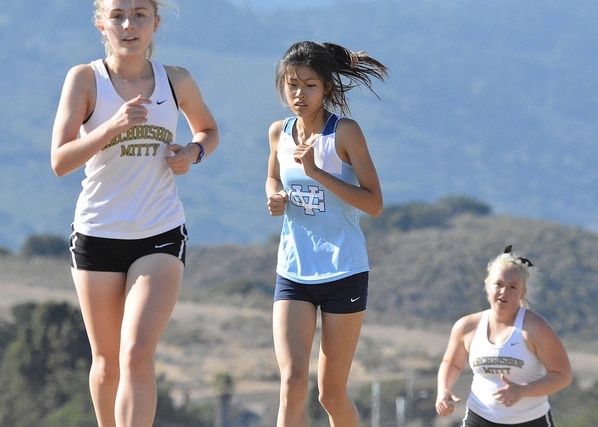 Maylene Aguilar has also been stellar this season with notable improvements every race this season and WCAL would be no difference. Aguilar finished with a time of 21:46, nearly a 2-minute improvement over her time of 23:30 run last year. It was a tough go for senior Sophia Patterson and Hannah Theaker. Patterson has consistently been in the 20-flat range all season and entered the race with a best of 20:14 run last season. Theaker has a best of 21:04. It wasn’t their day however as Patterson finished in 22:07 and Theaker 24:11. With the majority of the varsity boys cross country team graduating last season fielding it was a youthful team lining the start of this year’s WCAL Championship. With three of the six varsity runners on the line they held their own despite half the team running in their first varsity championship. Joe Renati was the top finisher for the Warriors running 16:13 for 13th place. 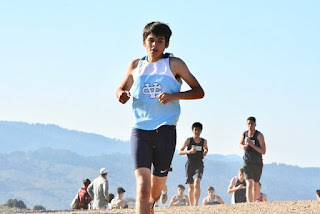 It was notably a rare off day for the senior who finished fourth in WCAL #2 and has run low 5 minute pace for the majority of his races this season. Though a small letdown Renati still managed a personal best time that ranks #2 in team history. Will Luders was next to cross the finish. His time of16:49 was a freshman record and good for 26th place in the varsity race. He was followed by Noah Shinn who finished in 17:36. 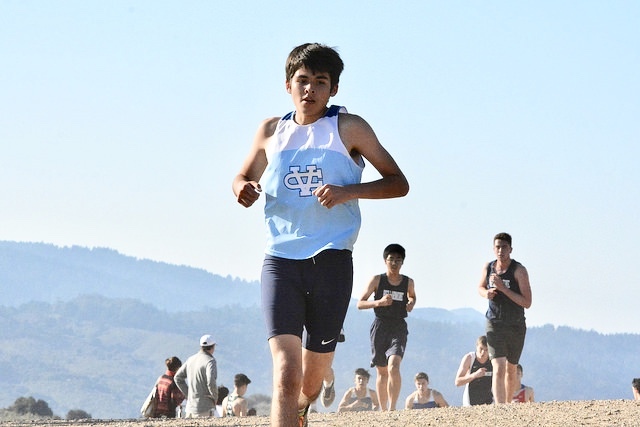 His time is #2 all-time for freshman and was just 7 seconds shy of the CCS automatic qualifying standard. He finished 46th. Nate Moore (18:04), Ben Kaestner (18:42), Raghav Saran (19:11) and Preston Nguyen (21:51) rounded out the varsity team. Zachary Mullis was top finisher in the JV boys running a personal best 21:13. Jacqueline Santamaria led the JV girls with a finishing time of 23:32.